At Montreal Scooter, our goal is to provide you with the best possible scooter experience without compromise. 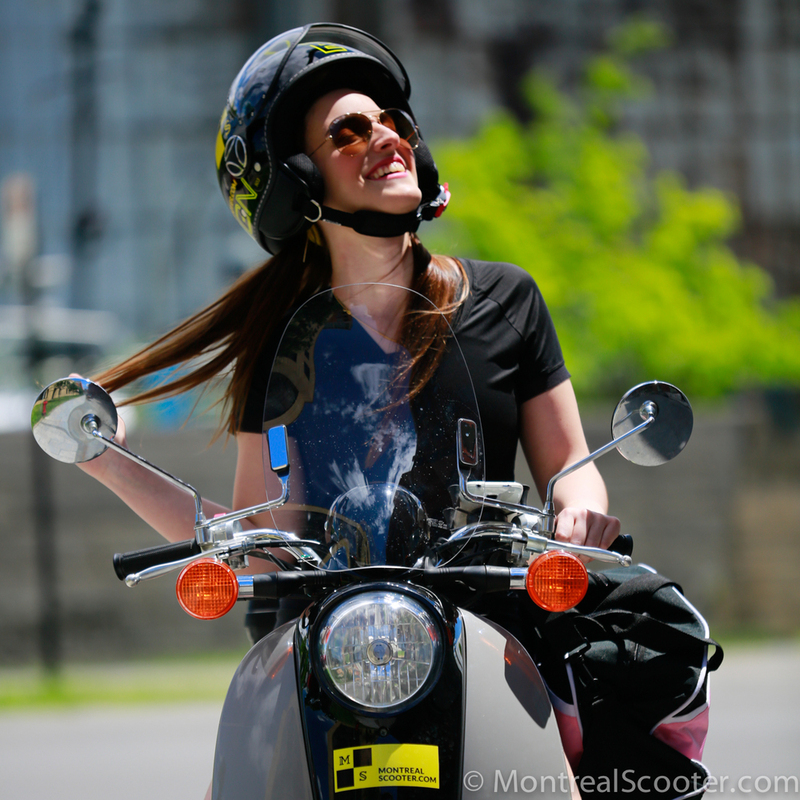 Established in 2013, Montreal Scooter was formed to provide locals and tourists alike an affordable way to have a fun, unique, and unforgettable sightseeing experience. Traveling on 2 wheels heightens the senses of sight, hearing, touch, and smell, creating a unique experience. Extensive research was, is, and will continue to be done to optimize the engine, transmission, throttle response, steering feel, and braking response of each scooter. Rental scooters are often neglected and quickly deteriorate from their "as new" performance. At Montreal Scooter, we aim to provide you with a scooter that exceeds the performance of the scooter when new. These are not the crappy beat up scooters you rent while on vacation in a sunny locale. Our scooters are not only kept at optimal performance, but also have unprecedented added utility in the form of a windshield, cell phone holder, adjustable drink holder, front inner basket, and rear lockable basket/trunk. This is in addition to the bag hook and under-seat storage that come stock from the factory. We also do our best to fix aesthetic damage as quickly as possible, so that all photos taken with our scooters produce the best possible results. The experience doesn't end at the scooter. One of the most overlooked pieces of equipment is a comfortable, functional, and stylish helmet. Our MOMO helmets from Italy are much better helmets than most scooter owners buy for themselves. We also offer a state of the art helmet made by Brembo called the B-Jet with an automatic chin strap system. In our opinion, the Brembo B-Jet helmet is the best scooter helmet ever made, and is available for rent, only at Montreal Scooter. We appreciate you checking out our website and look forward to providing you with The MS Experience this season!